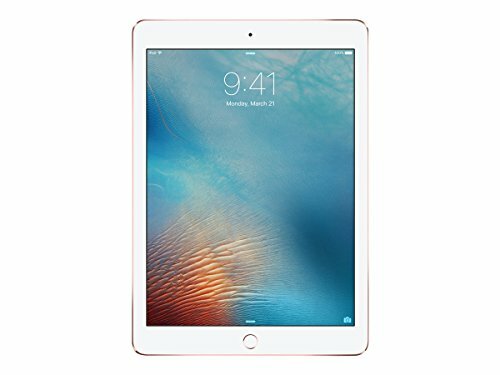 Apple iPad Pro (9.7-inch Retina True Tone display technology), 128GB, Model A1674. Includes Lightning to USB Cable, and USB Power Adapter. Smart Connector, Home/Touch ID sensor, Lightning connector, Built-in four-speaker stereo audio, Dual microphones, 3.5 mm headphone jack. A9X third-generation chip with 64-bit desktop-class architecture. 12MP iSight camera with 4K video. Supports: CDMA, GSM, UMTS, and LTE (FDD and TD) cellular technologies. FaceTime HD camera and iSight camera with flash. Apple Pencil and Smart Keyboard support.